One of the leading Peer to Peer protocols is BitTorrent. If you don’t know about BitTorrent, this article is a brief overview of getting the most of BitTorrent on your Mac. BitTorrent was developed by programmer Bram Cohen, who designed the protocol in April 2001. To this day, BitTorrent traffic makes up a significant, yet exactly unknown percentage of Internet traffic. BitTorrent works by transferring many small pieces of a larger file from many sources to later make one larger file, versus sequentially downloading a file from one source such as a HTTP transfer. In order to transfer files using BitTorrent you need to get a .torrent file and open it with a BitTorrent client. The client will then connect you to a tracker, which will provide a list of peers for your client to connect with. You can get .torrent files from a number of places around the internet, some which are legal and some that infringe on copyrights. This part is up to you (remember, Google is your friend). AAs for a BitTorrent client, there are a handful of BitTorrent clients for OS X that work great. However, by far the most feature rich, fast and user friendly is Transmission. Transmission is 100 percent free, open source program. Once you have your torrent file in Transmission, the last thing you will need to do is forward ports. From within Transmission, you go into Preferences, and click on the Network tab. Remember the port number Transmission displays (or change it). To obtain your full potential of speeds, you will need to open a port from the Internet directly to your computer. This will require you to enter the configuration page of your router and forward the port or enable NAT-PMP or UPnP (to let Transmission do the work). Configuring your router will vary by the manufacturer, so check out this site for a guide to your router. This is a beginners guide to starting to use BitTorrent on OS X. Look for more parts coming soon, in more detail. While on a recent shopping trip to Willowbrook Mall located in Wayne, New Jersey, visable progress is being made in the latest Apple Store in the Garden State. 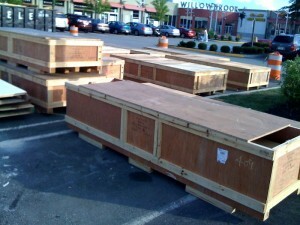 When visiting the Willowbrook Mall, after parking, I noticed a number or large wooden crates sitting in the parking lot. 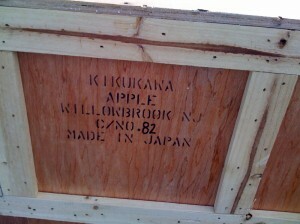 Curious, I went over to take a closer look- it turns out they were destined for the new Apple Store! From what I could gather, inside were large pieces of furniture and table tops. The new store is going to be located in the Macys wing of the mall. Currently shrouded by a black wall, with a recently added Apple sticker on the outside. The store is scheduled to be opened sometime this fall. 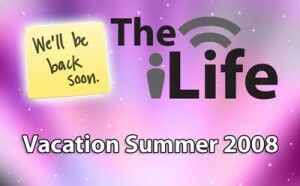 Keep with theiLife.com for more details! 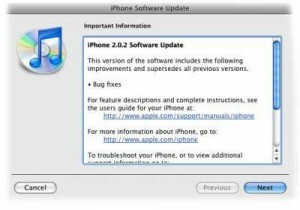 Here are some notes from the 2.0.2 firmware update installation. Downloading the firmware took about 15 minutes on a 5 Mbit/s / 1.5Mbit/s connection. FiOS has me spoiled at home. 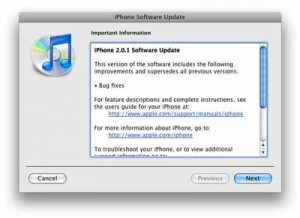 My iPhone update took about 10 minutes. 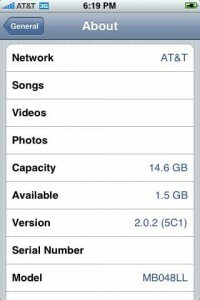 Note that I have recently synced and backed up my iPhone with my computer about 15 minutes prior to the installation. Taking a screenshot just froze my iPhone while in Settings. It eventually quit and brought me back to the dashboard. 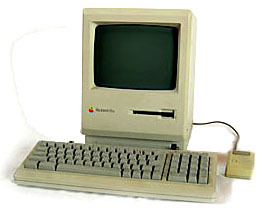 The introduction of the iMac computer brought Apple to new heights. It was the first computer to come in color, Bondi Blue, other than beige. The release was a breath of fresh air into the Apple lineup. Before Steve Jobs return to the company in 1997, Apple tried to rejuvenate their lineup with new inventions such as the Newton PDA and the Taligent project. While the Newton failed from a financial stand point, it was a big technical step for mobile computing and set the way for future PDA’s such as the Palm Pilot and eventually the iPhone. The original iMac was designed by Johnathan Ive, famed designer of the iPod and iPhone. 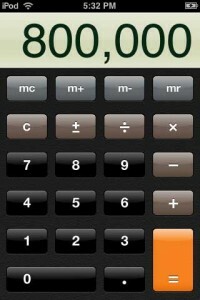 The iMac sold 800,000 units in its first five months. Predecessed by the second generation, slot loading iMac G3 in 1999 the iMac G4 again set another new standard in design. 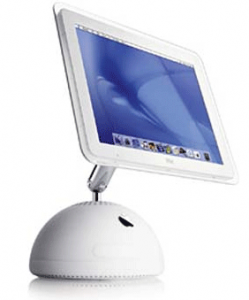 The iMac G4 came with a base made the shape of half a sphere with a LCD screen attached by a rotating metal pole. Many people considered this to be another large leap in the shape and design of computers. The design of the iMac G4 was soon abandoned for the design of the iMac G5. A sleek, plastic, 3″ think, all-in-one computer. One of, if not the first, sleek all-in-one computers. Starting out with a 1.6 GHz G5 PowerPC processor, it truly was the best and most innovative in its class. It also included 256 MB of RAM which was upgradable to 2 GB of RAM. And while many might think this is small and insuffuficent, Panther only required a minimum of 128 MB and a G3 processor. So thus the new iMac G5 easily surpassed the requirements of it era. The iMac G5 was later redesigned into what we know today. The first Mac to get an Intel processor at Macworld 2006, the G5’s design was later redesigned into an even sleeker 1.24″ think metal case. It now has up to 4 GB of RAM, comes with either a 20″ or 24″ screen, and has a processor with speeds of up to 3.06 GHz! With its enhanced preformance, the iMac has become one of Apple’s most popular desktop offering. With Apple constantly redefining the technology industry, we are always looking for their next big wonder to be unveiled. staring with a simple little computer made in Steve Jobs’ garage, Apple has grown to be more than just as computer phenomenon, but a god in the technology field. And with the iMac now 10 years young, who know what we can expect next. 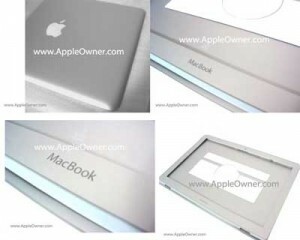 Thoughts on leaked MacBook case pictures? The MacBook & MacBook Pro haven’t seen any major revisions since their release date of 2006. 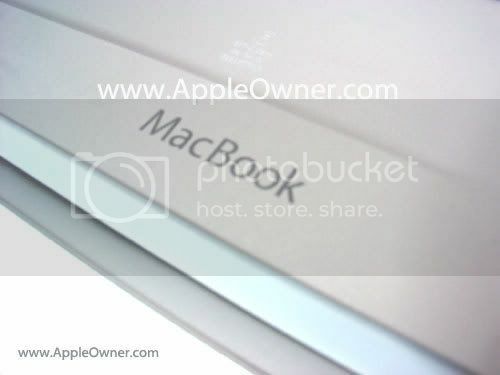 With redesigns long overdue, there is word that Apple will be releasing new MacBooks and MacBook Pros this September. I think we all figured that the new MacBook design would be very similar to the MacBook Air, but is that what the buyers really want? With the release of the new iMac about a year or so ago, many people said over and over again how they disliked the new look, but we adapted to it over time. Apple is known for trying to keep unreleased products under tight control, so that makes me doubt that these new pictures are real. Also, if you’re a college student, don’t forget about Apple’s student deal! Now, one of the only pros of getting a MacBook before the highly expected MacBook 2.0, is that you can still get that iPod of your desires.